The applications for custom gaskets are virtually endless with hundreds of products being produced across a vast landscape of industries. Each company has its own unique set of criteria which need to blend seamlessly into the production process. Here at Gasket Engineering, custom gasket manufacturing is our expertise. We listen to your specific needs and work with you to develop practical custom gasket solutions for your projects big or small, complicated or simple. We assess each custom gasket needed (quantity, tolerances, shape, size, and budget) before selecting the equipment that will produce the best results for each custom made gasket. The result is a part that blends seamlessly into your manufacturing process with custom gaskets that provide superior bonding. 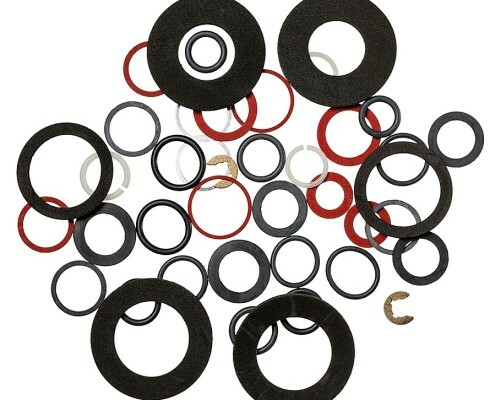 Gasket Engineering is a leading custom gasket manufacturer for many high tech industries. For example, we have been an integral provider of complex composite parts and kitting for large wind turbines. We provide sound and vibration dampening custom made gaskets for the aerospace industry. Our advanced custom gasket cutting capabilities help us to produce multi-layer adhesive parts for the medical industry. We have worked within the electronics industry to provide very small custom gaskets and seals with high tolerances that require precise laser custom gasket cutting. In addition to these, we also have extensive experience in the automotive, heavy equipment, industrial and marine industries. We are proud partners with 3M, Amorim Cork, Armacell, ClarCor, Garlock, Interface, Rogers, Thermoseal, and other quality vendors offering the latest technology and material options available on the market today. Visit our materials page for a full list of material options for custom gasket manufacturing projects. No matter what the application, we have the custom gasket to meet the need. Call us today at 816-363-8333 and let us know how we can help. No matter what the application, we have the custom gasket to meet the need.